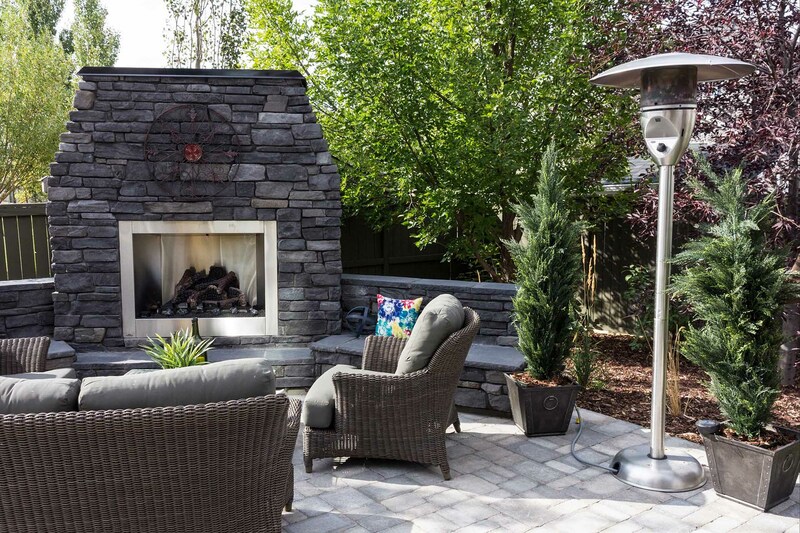 Large outdoor fireplace with large trees - Curb Design Inc.
Side view of a Custom large landscape in Calgary with Fireplace. Concrete patio with hybrid fireplace and outdoor kitchen. High end outdoor furniture.